This Buttercup sucked it up. I had a big (for me) and MUCH needed confidence-boosting weekend of training. And not a moment too soon - I'm less than two weeks out from the Hokie Half Marathon, and less than four weeks out from PPD Beach2Battleship half iron distance race. I needed the chance to prove to myself that I had the mental endurance to stay focused and deliver a consistent and fairly high level of effort from start to finish on these two key workouts that are much longer than the sprint/oly/rehab focused efforts of the summer. (wow that was a long sentence). Frankly, my efforts on the bike have felt a bit lackluster. My runs have been inconsistent. I've struggled with focus, confidence, and positivity. Building physical strength and endurance is a matter of consistent work, increasing physical demands, and sufficient rest to bring about physiologic adaptation. With Coach Jim, that part is taken care of. Building mental strength and endurance takes the same, but it also requires stringing together thousands (or millions?) of moment-by-moment decisions to commit to do the work. It's really up to me. I viewed this weekend as a dress rehearsal for the mental side. How I did Saturday - I did maintain mental toughness for the duration, despite the pleadings of the body to let off the gas the last 12 miles. I worked to keep heart rate between 150 and 155 and when things were tough I thought about technique rather than effort - a quiet relaxed body and steady, efficient pedaling. It paid off with a 20.6 mph average that made me very happy! What I learned Saturday - I can stay focused and must! With focus comes speed and performance. I also learned that even if I'm hurting at the end of the bike, the run will be there, don't dread it! 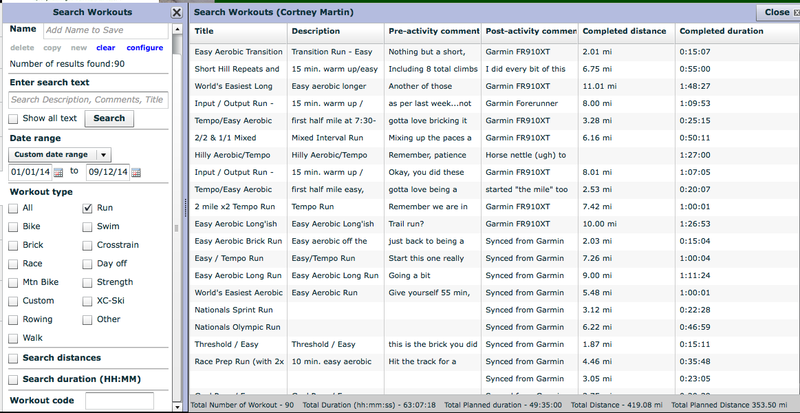 What I did Sunday - 12.5 mile run, the longest I have done since last year's PPD Beach2Battleship half iron. How I did Sunday - Confidence/focus dropped a little in the middle miles, then picked back up so that my fastest 1.5 miles (7:38 min/mile pace) were the final 1.5 miles! Cadence is a big indicator of my focus, and it stayed at or above 90 average per mile. I was very surprised to hold a 7:53 min/mile pace on this training run. 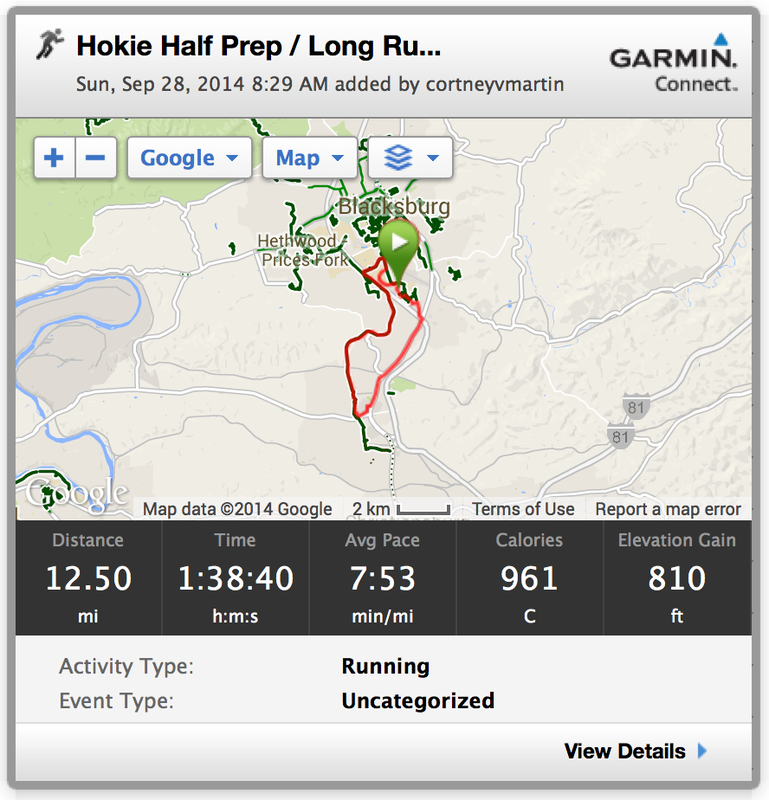 What I learned Sunday - The middle miles may have suffered from thinking about how much further I needed to go. "Run the mile you are in" I need to remind myself. That last mile and a half showed there is more in the tank than the body lets on. Don't be afraid to back off half a gear, just keep cadence up and stay positive! Why mental endurance training is good - As a working mom and crazy busy person I'm in a constant state of multitasking. It's important to build mental strength and endurance in the context of a single task like biking or running. It's hard, but it's rewarding. Take Away - Take a metacognitive approach and check-in constantly on your commitment to do the work; performance will follow. At this morning's group swim with Coach Tom (pic above is a few weeks ago), I was feeling decent in the water, not awesome, but fine. I was thinking about my head position, reaching long, finishing my stroke - doing the mechanics of the things he reminds me to do. About 1000 yards into the swim, on the final 25 of a 200, I felt something click into place. I felt more force of the water and held it longer. It felt more connected and effective, stronger and faster. I came up at the wall and said happily "I finally found my stroke on that last 25!" Coach Tom immediately nodded and grinned saying he had noticed too, and was about to say something. I was surprised to know that what I felt was observable (oh, the trained eye!). It was at that moment that I realized this catch-all word of "technique" that is firmly associated with good/fast swimming is so much more than mechanics. It encompasses nuances and subtleties of feel and feedback of the water. I have long been confusing "mechanics" for "technique". 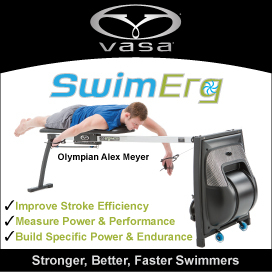 Swimming was so frustrating because I thought all I needed were the optimal arm angles and body alignment and gears. I was thinking like an engineer (probably since I am one). And while mechanics are important, I finally understand that swimming is far more, it's also art in a way - kinesthetic art - or "feel". I see now that while we work on the mechanics, Coach Tom structures the swims to allow us to discover the "art". Descending sets, drills, intervals, dropping stroke counts, long easy continuous swims, sprints, various paces....they are all opportunities to interact with the water in different ways and learn. 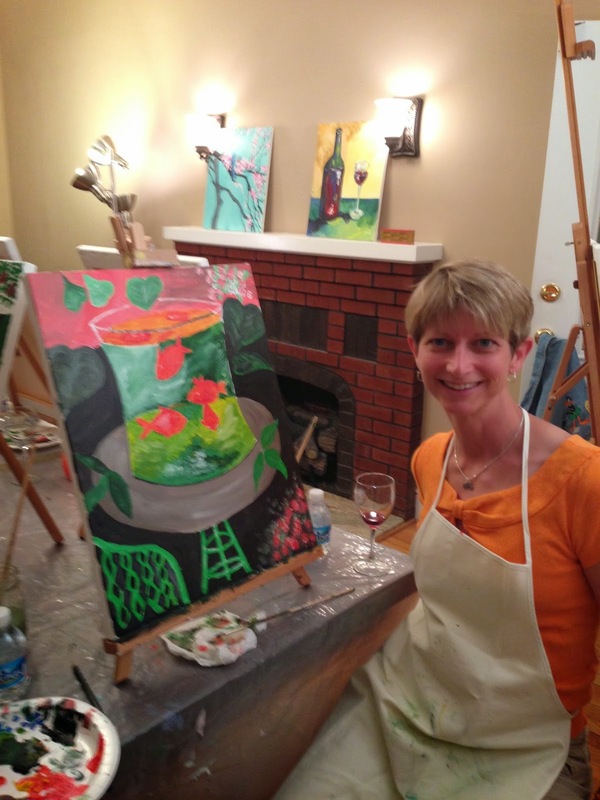 Like an artist, we have to be willing to try things and get messy. Then it's up to us to feel and interpret what results (along with seeing what the clock has to tell us). Now that I see swimming more along the lines of learning to dance or paint, and less like learning to drive a car, I understand my role and the process a little better. 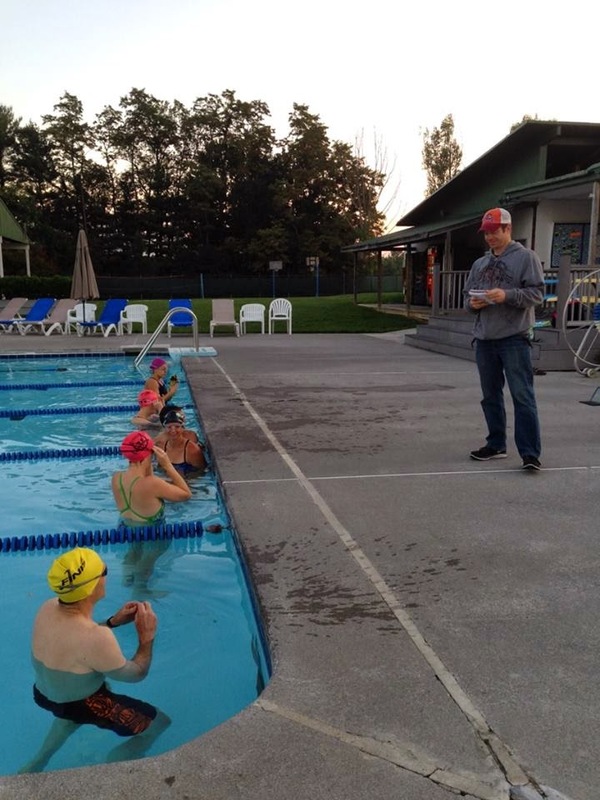 I can't say enough about the benefits of swimming with a well-coached group. It's turned my swimming from frustrating to rewarding. I think I will stick to doing my "art" in the water and learning to swim more like a fish, rather than trying to paint them (from May). 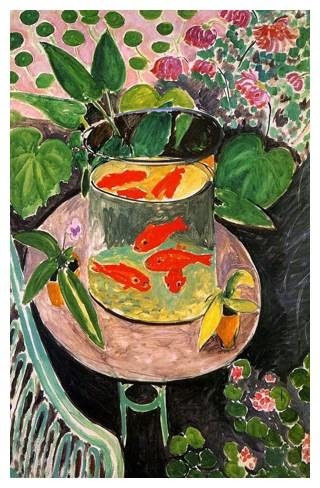 I know, I could probably pass mine off as a real Matisse...unreal how similar they are. I am typing through tears (ok, not really but VERY close) as I grieve the loss of my 6th gen iPod nano. This is the iPod that carried me to a PR at the Boston Marathon (the one with the bombs). This iPod went to the hospital with me for artery surgery and accompanied me on many miles of walking/hiking rehab. This iPod has been with me through most all of my race training and on flights to big scary overseas races. On it, I have listened to countless podcasts (This American Life, Radio Lab, Porchlight, the Moth, Freakonomics, Babbittville Radio, Endurance Planet, What'ya Know, Wait Wait Don't Tell Me, etc) and am a better person for it. This is my second 6th gen iPod nano. I had to buy it from eBay because you stopped making it. I love this exact iPod because it is small, it has a clip, and a screen that is just large enough for me to switch between music, podcasts, and occasionally the radio. Unfortunately, it's not waterproof, and one errant trip through the washing machine brought about its untimely demise. If you were a runner, you would understand why it's important that it's small, has a clip, and a screen. No, that dumb Shuffle does NOT suit a runner's needs. Athletes like information, data, displays, and feedback! The newest nano is NOT for runners. There's no clip. It's not small. It's for the sedentary population. I know beyond a shadow of a doubt that NO ONE in upper management in the iPod division runs (or exercises at all for that matter). If anyone did, the 6th gen form factor would be alive and well in the i-Family. 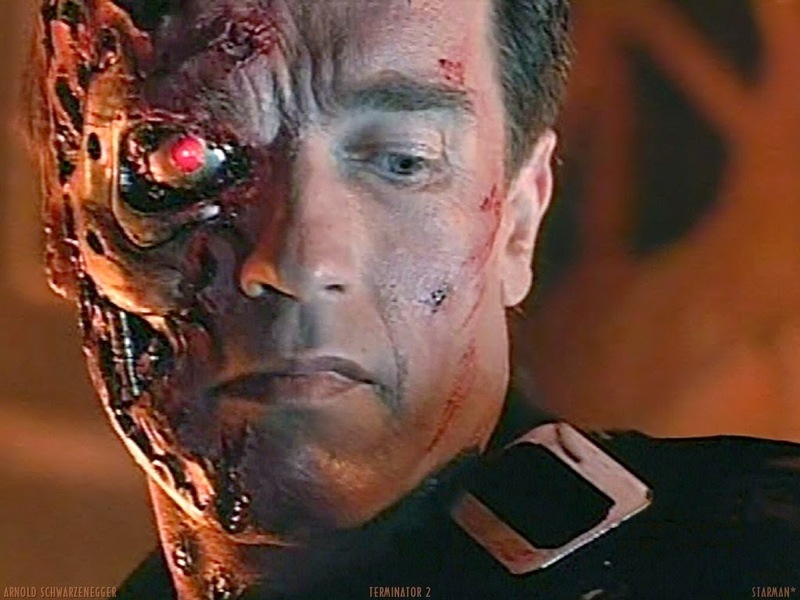 I am far from the only one who feels that Apple's iPod division is neglecting its athletic customers. Support and affection for the 6th generation is widespread. 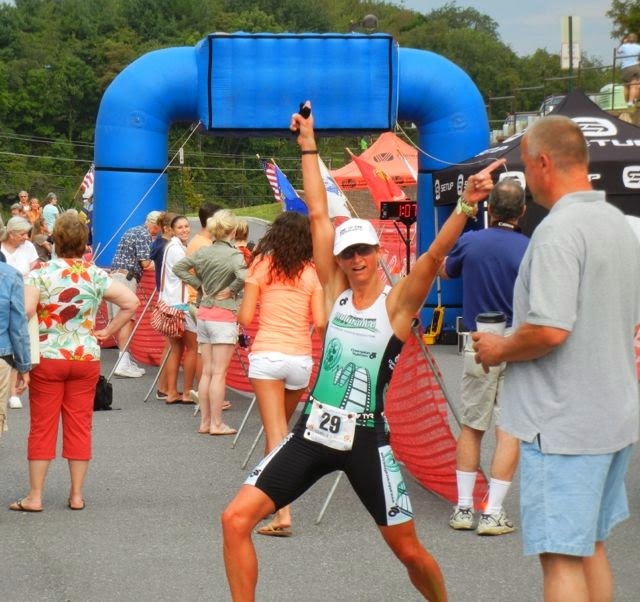 Like my finish arch "crown"?! 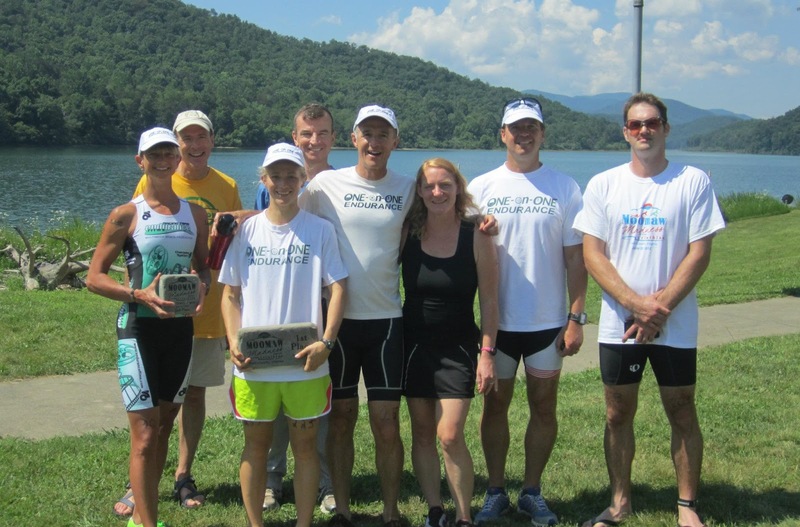 The Claytor Lake Sprint Triathlon began in 2011 as an informal event that has steadily and carefully grown into a successful sanctioned race run by the Bike Barn and TriAdventure. This is the first year I've been able to participate and support it, and I'm so glad I could! It's rare for us in Southwest Virginia to be able to race without many hours of driving and the expense of a hotel room, so this was quite a treat and packing was refreshingly simple. My parents came from Pennsylvania to visit and to watch the race. Unfortunately, we had rain for most of the three days they were here, including during Saturday's triathlon, but it really didn't dampen the enthusiasm. 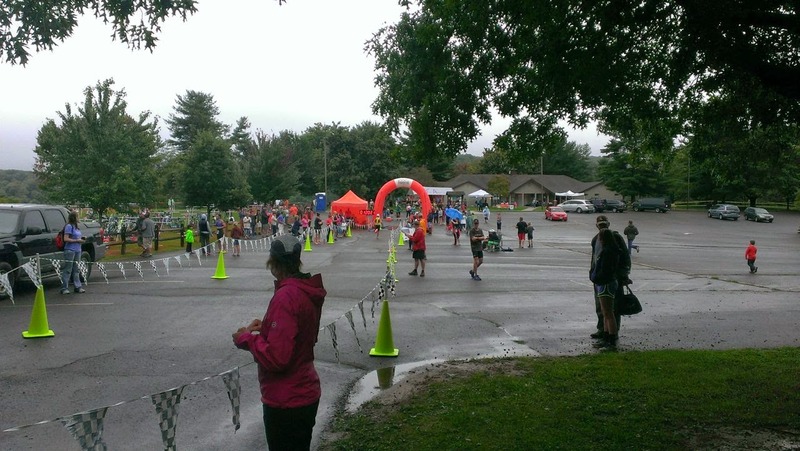 This race had everything you'd want for a great experience: ample convenient parking, a beautiful venue (even with the clouds), good organization, dependable timing, and lots of local athletes and first-timers. Around 175 athletes registered; 129 individuals completed along with 11 relay teams. The swim was ideal for those new to open water as it was point-to-point heading out of a cove and along the shore, never in deep water, and never far from land. There were three waves - men, women, and relays. As we were collecting at the swim start, I made the snap decision to line up with the fast swimmers (including Rebecca of swim group who is crazy fast) and go out as hard and as fast as I could to stay with them. That decision paid off as I found myself sandwiched in an ideal draft behind fast swimmer Sara Zeigler and alongside fast swimmer Sarah Abbott. 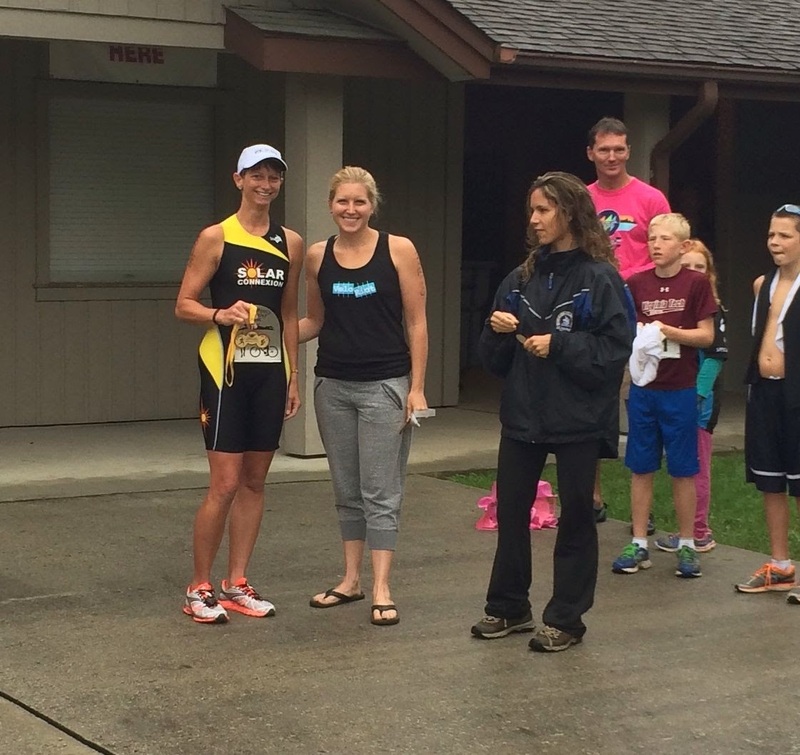 I believe I came out of the water as the fourth female and I saw Rebecca at her bike as I ran up from the swim. I was excited to see I was not that far behind her. 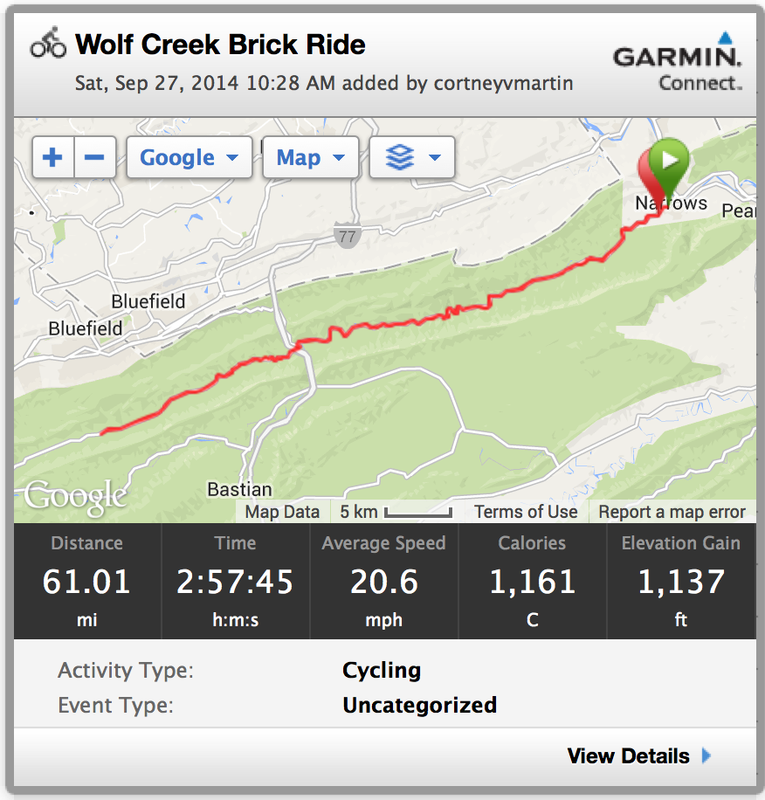 My experience on the rainy Blue Ridge Parkway ride of the prior Saturday paid off. 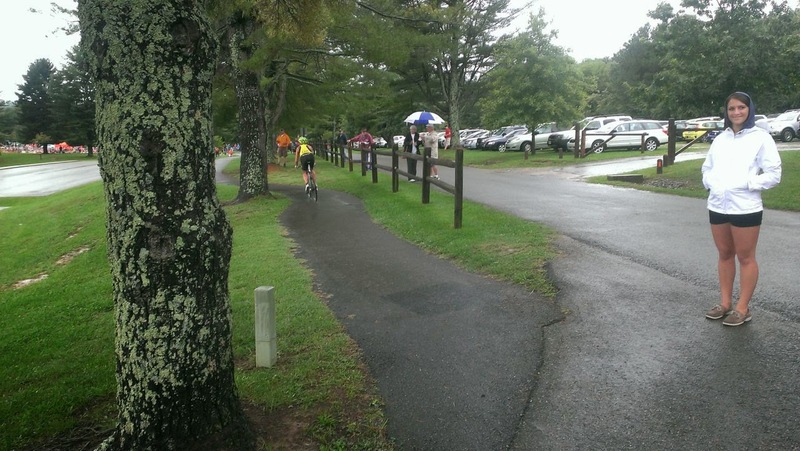 On the bike at this race, we had a steady rain and one harder downpour but I knew my best bet was to push my foggy, wet sunglasses down the bridge of my nose and peer above them, wiping my eyes as necessary. It was an out-and-back course, with only two turns, and a good road surface that minimized risk even on a rainy morning. I hadn't done a great job of reconnaissance on this race and wasn't real clear on where to go the last 200 yards and knowing where the chalked dismount line was. Thankfully, I saw my husband and yelled "where do I go?" and he pointed me down a narrow bike path while yelling "you are first in on the bike!" YAY! One of my favorite things about this race is that 90% of the run is on trails, which is really unusual in my triathlon race experience. 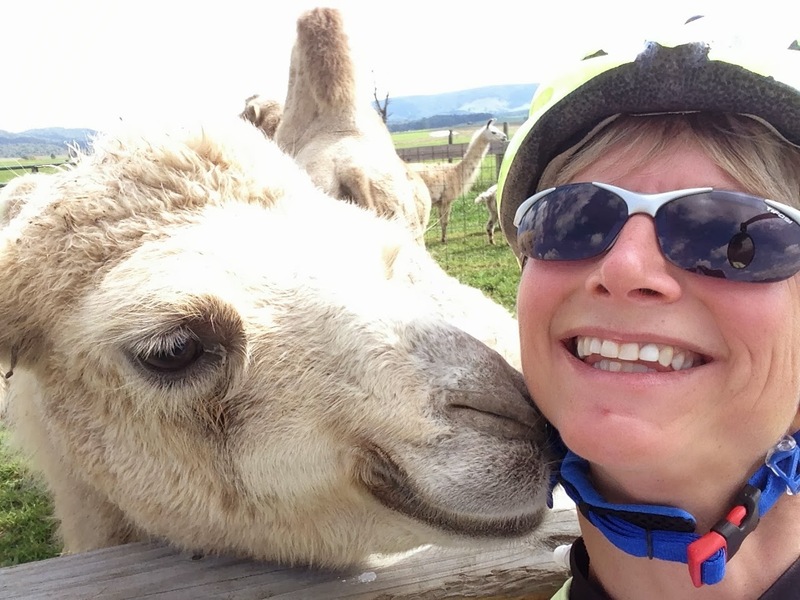 It's unusual because trails are usually paired with mountain biking and kayaking, not swimming and road-biking. 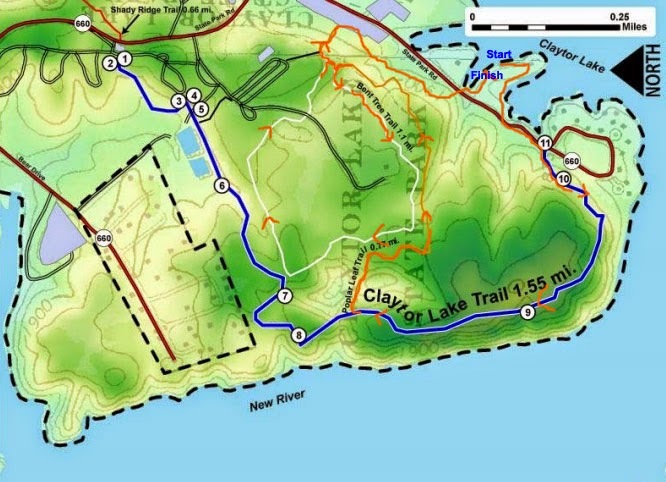 Given my trail navigation "fails" of the past, I did take the time to study the run course map noting the intersections and main trail names. The rain had made the trail pretty muddy and slick, so I kept a high cadence, and paid very careful attention to where I ran. I'd bound from one side of the trail to the other where it was dryer, or run off to the side of the dirt trail through the undergrowth. I found it VERY fun to pick my way through. It was a nice change from the all-out sheer sufferfest of running and baking on asphalt. Krista and I opted to wear old shoes for this race...good call! In most places, yellow barricade tape made it easy to see which trail NOT to take. At two intersections, I had to figure it out. I made the right call on the first, the wrong call on the second. But at that point I was with three other runners including my friend Justin. We were about to exit the trail at a campground and I yelled to a guy, "Have you seen other racers go through here?" To which he replied, "No, you are going the wrong way!" Uh-oh, moment of panic! I have this funny image of the four of us at a standstill, ready to run, arms out, thinking of what to do...and off we shot! We backtracked and found our way back to the correct trail and saw some confirming evidence we were back on track. Phew! Apparently this happened to some other folks, and I am SURE it will not be an issue next year, but really, this was just a funny little thing that will make this race really memorable for me. It's a race, things happen, you figure it out, and you go on! And ultimately, it's the athlete's responsibility to know the course. Since I was running with some degree of safety in mind rather than all-out, I had plenty left for the final run to the finish line, and I was sure happy to be the first woman across (11th overall) especially with my parents and hubby there! 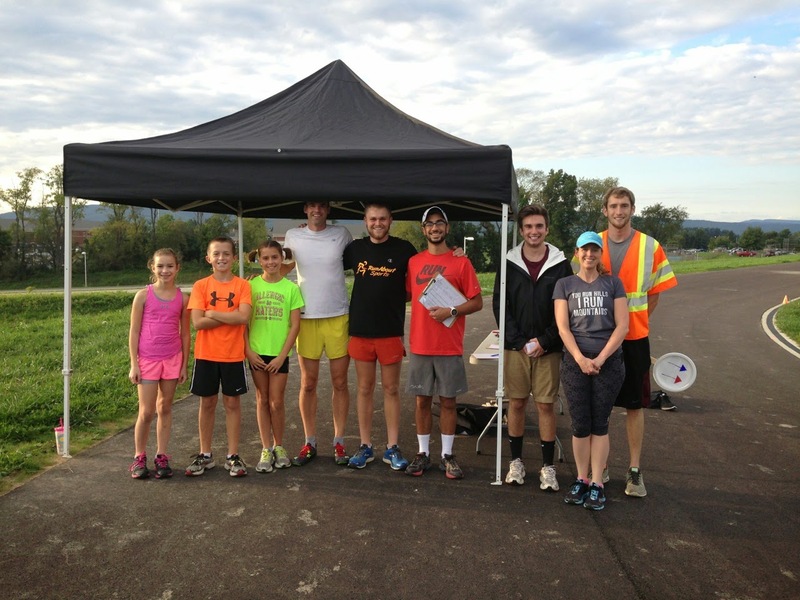 It is so vitally important to have local races like this, and the organizers have done it right. They started small with an unsanctioned "event" and have slowly and carefully grown the race into a sanctioned triathlon. I've seen RDs take the other approach, investing beyond the race means, too much too soon, losing money, and folding the race. So if you notice little things that might be "missing" at a local race, chalk it up to choices made in favor of having a viable, sustainable race that can return the following year. I love that there were lots of first-timers, relays, folks on mountain bikes, and even a bike with a baby seat (sans baby, fortunately). 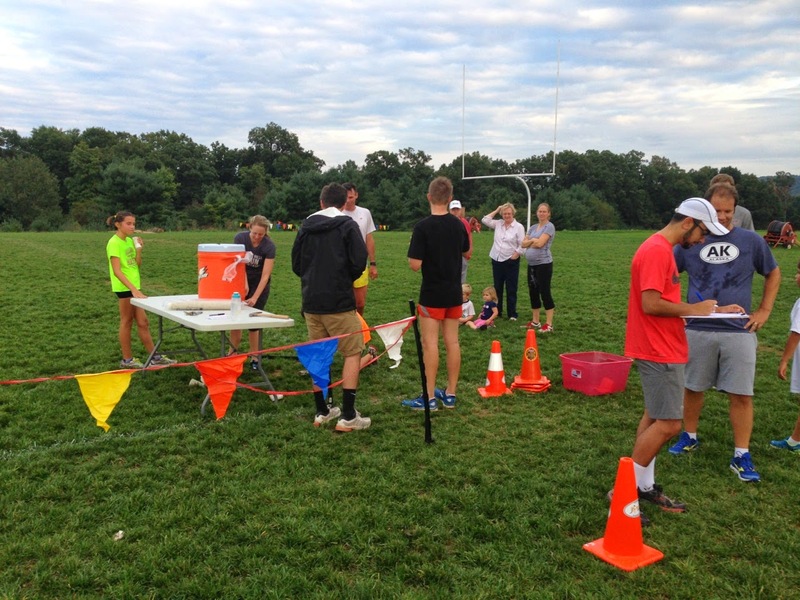 It's a big BIG job to organize a three-sport race and a challenge to break even the first few years. 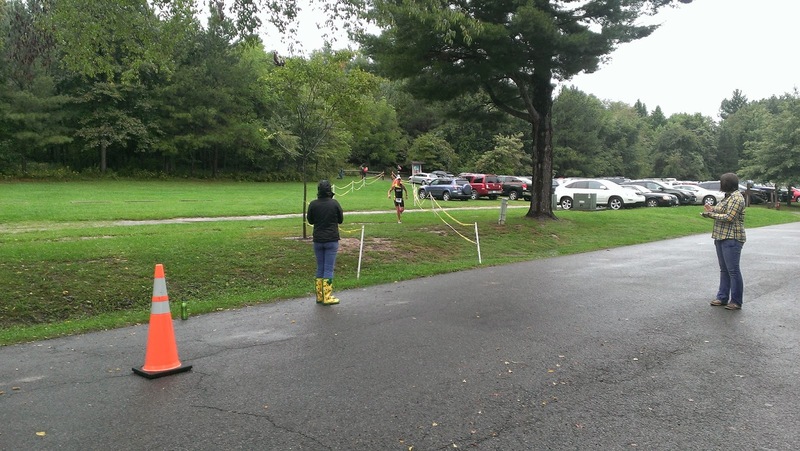 I thank Anne Jones/TriAdventure, Johnny Garrett/Bike Barn, and all the volunteers who stood in the rain the morning of a VT game for making this race possible! 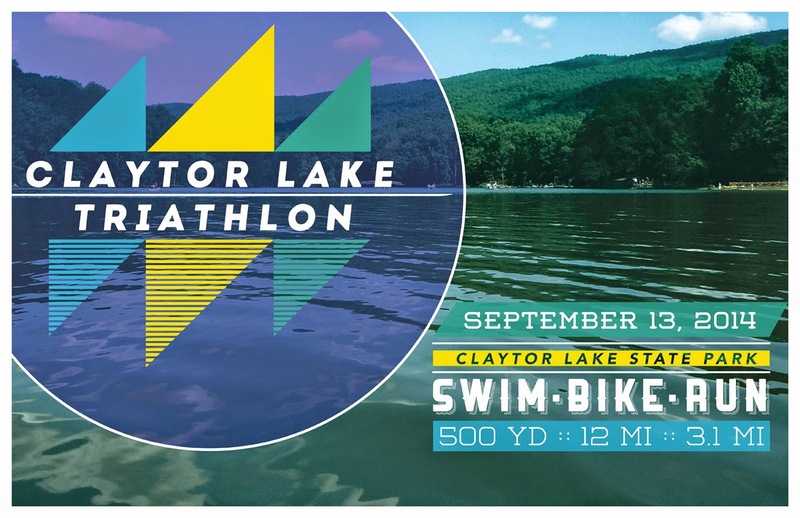 Please put the Claytor Lake Triathlon on your race calendar for next year!! It's a lovely event and very welcoming and supportive for athletes of all experience levels! I was shining up the 'Roo this morning for a local sprint race I'm headed to tomorrow. My dad, who is here visiting with my mom, asked how many miles I had on the bike. It's a little hard to say, since I was on the road bike prior to June 2011 and I still use it some, but I was curious how many miles I've logged since I started training. You can tally your workouts on TrainingPeaks by doing a search for a specific discipline and time frame then by looking at the cumulative stats at the bottom of the window...but it maxes out at 500 workouts, so I ended up having to do it year-by-year. (Note to TrainingPeaks...please fix!) Maybe there is a better way to do it, but I haven't found it. See here at the bottom? Clearly 2014 is a "down" year for training volume, but so it goes. I'm looking forward to tomorrow's Claytor Lake Triathlon. I need some fun. I've had a rough week with poison ivy, a popped blood vessel in my eye, and some GI problems though. I cut out the training extras the last few days - the gym and a pre-race brick for today - in the hopes of gaining some energy and getting out of this rut of feeling pretty flat lately. 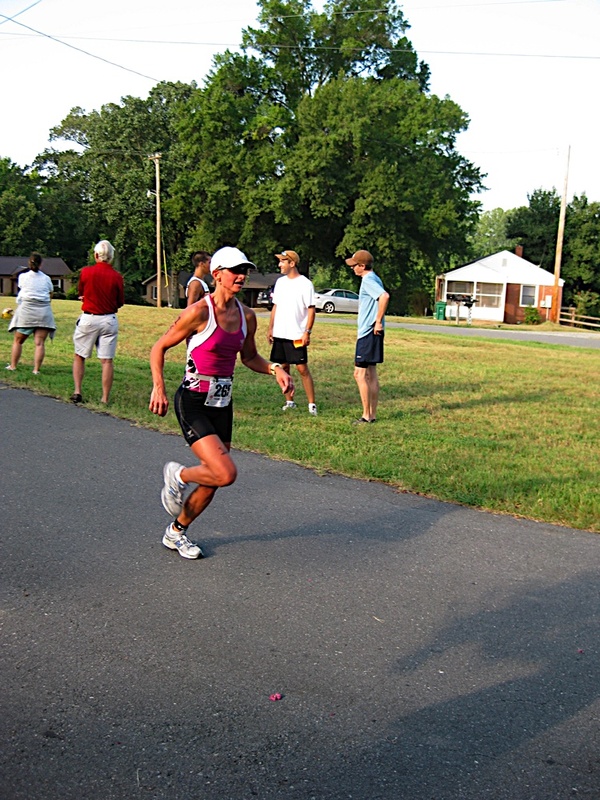 I have officially been in the sport of triathlon for five years, with the Lake Norman YMCA Triathlon as my first race back in 2009 (race report). 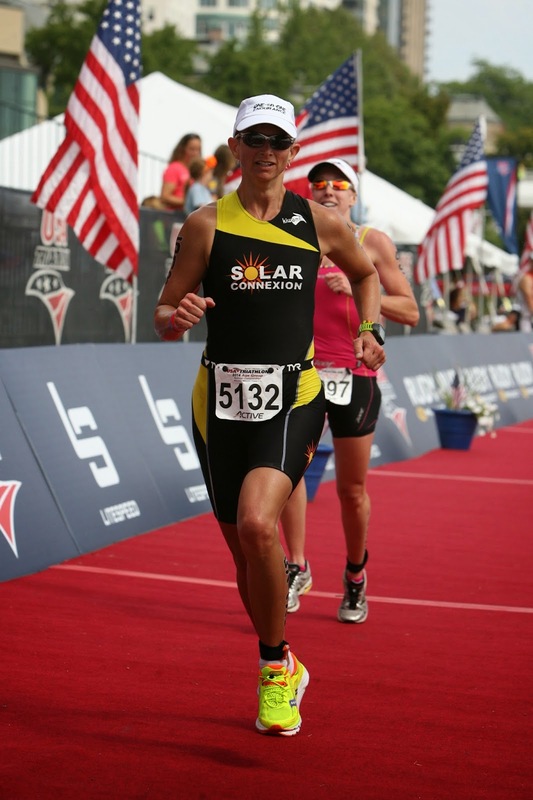 The short story behind it is that I'd been running for just a year, suffered a fractured fibula, and during my recuperation decided triathlon seemed like a healthier cross-training option for this late-blooming athlete. 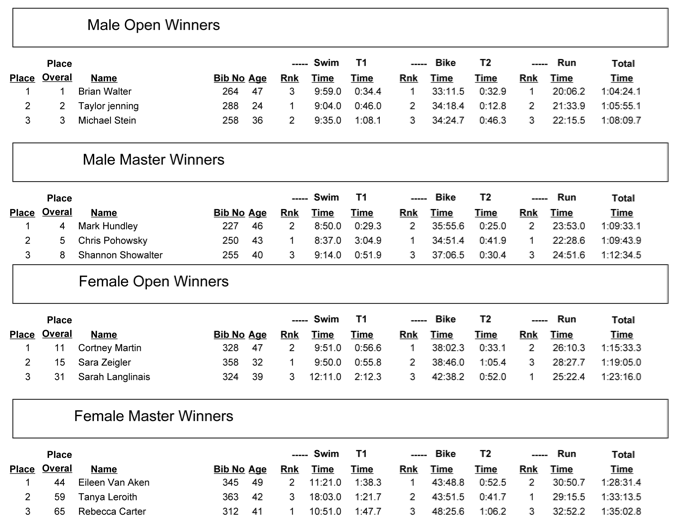 I bought a used bike the day I got sprung from the walking boot, worked with Coach Jim for nine weeks, raced the all-novice event, and came in second. I was hooked. Here it is, five years later, and I am more excited about the sport than ever! 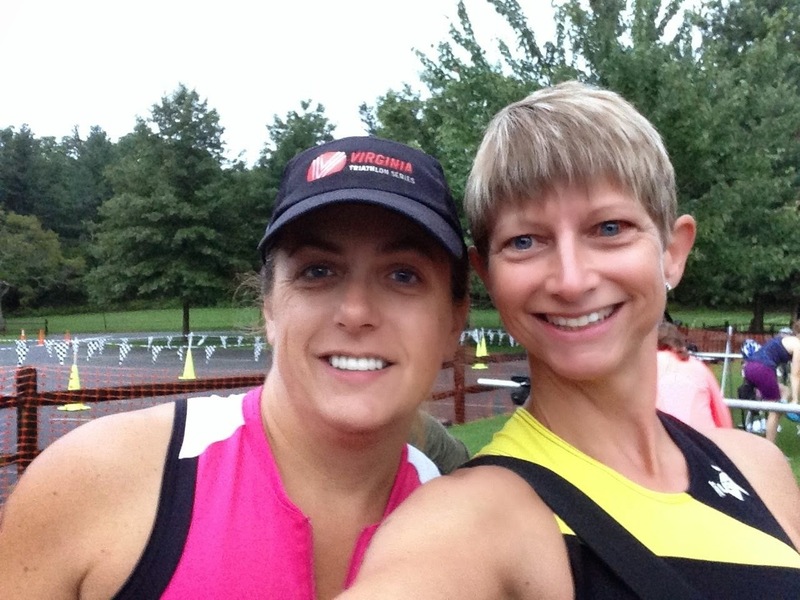 I asked myself "why" -- why am I still in triathlon? Why have I not burned out or moved on? Knowing the reasons may help me, and maybe you, to keep enjoying this sport (or whatever your sport) as long as we are able! Having a sustainable training load. I train around 10-12 hours a week and for my family, life, and work circumstances, that is very doable. Dustin Yonke, a Coach with Team MPI, recently wrote, "You shouldn't be putting into the sport what you are not willing to give up." That pretty much sums it up! I've never resented the training, nor has the family (they are asleep for half of it) and I've always felt it has added to rather than taken away from life. Racing distances that I enjoy. 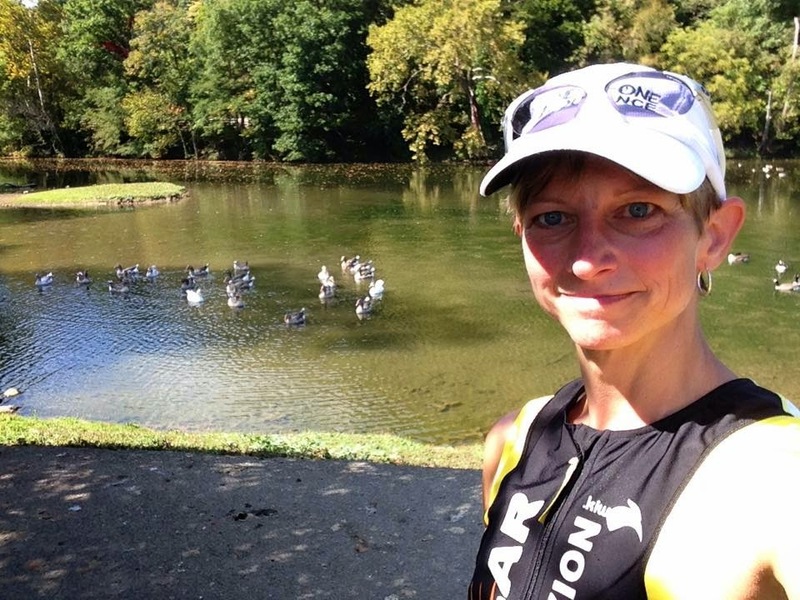 I am a sprint and Olympic short-course girl, with an occasional half-iron for fun. At those distances, I can race often, can prepare well, and finish racing before lunch! I can race twice in a weekend, take a day off, and get right back to the training I love and to the family that needs me. Having a knowledgeable and trusted Coach. Coach Jim is great moderating factor and source of perspective for my competitive spirit. I am glad I do not have to think of how to train or what to do, and I can devote my full energy to the efficient and effective training he has designed. 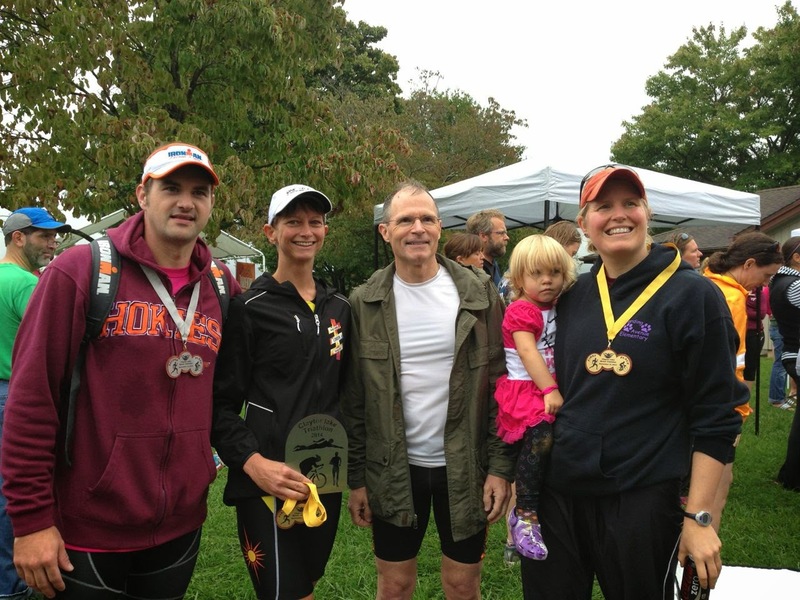 I have been with Coach Jim since Day 1 of triathlon training and can't imagine it any other way. 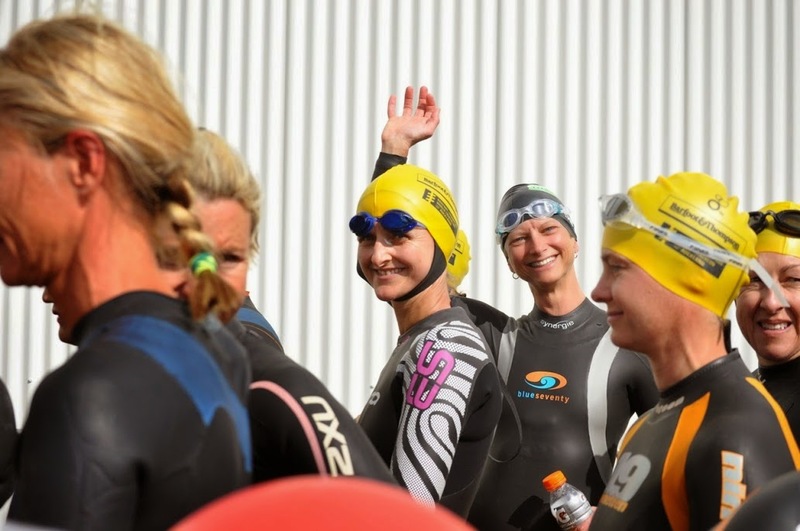 Being part of the supportive community of triathletes. 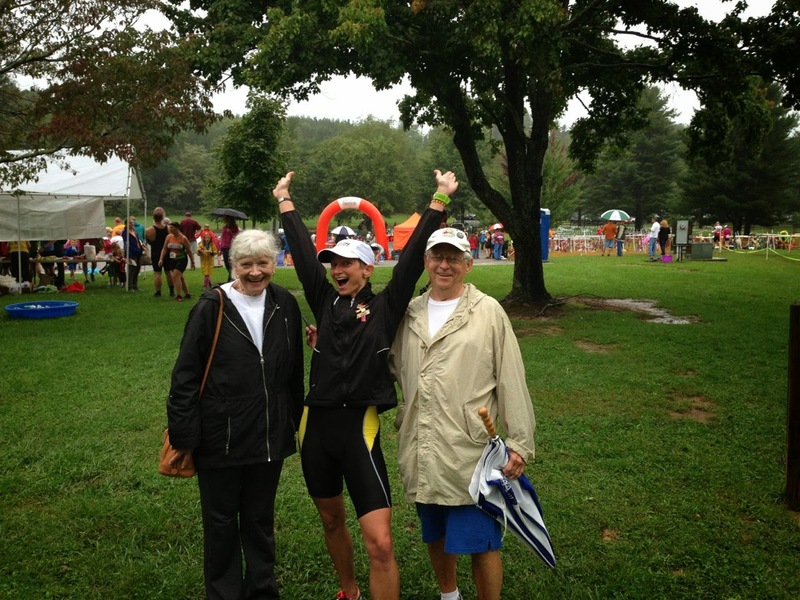 Triathletes are generally earnest, hard-working, encouraging, folks who equate movement with fun like I do. 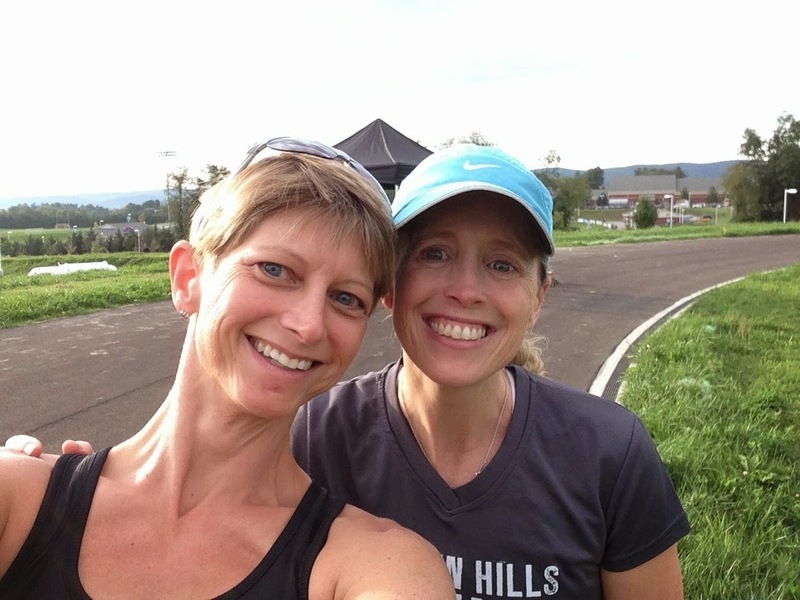 I love my triathlon peeps near and far, and training and racing keep me connected in and enjoying the social side, which for triathletes usually wraps up by 9 pm so we can train in the morning!! Finding frequent fulfillment in the small things. 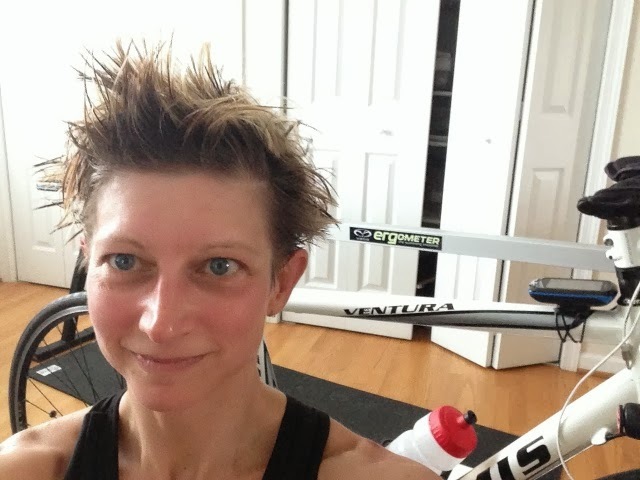 Yes, race successes and PRs can be fulfilling, but more importantly, I find frequent fulfillment in the little successes of daily training - better body balance in the pool, achieving flow in a run, pushing through fatigue on a long ride, hitting a tough mile pace, or just getting out the door to train when I don't feel like it! Loving the training. I do, I really do. I appreciate the rhythm and structure that training brings to my life. I love to sweat, to feel my muscles fatiguing, and to tap into the singular focus required to push on when my brain is telling me I can go no further. Appreciating that triathlon training gets me out into the world. Seeing the world on foot, from a bike, and through goggles is the best. If it wasn't for triathlon I fear all I would see is my car, my house, and my computer. It's amazing what you come across when you travel through the world a little more slowly! Keeping race nerves in check. I get nervous/excited for races just like anyone but I don't let it take away from the experience. I make sure to take time after a race to reflect on what I thought about my efforts and execution before looking at results and rankings that might try to tell me a different story. Blogging! Yes, blogging! 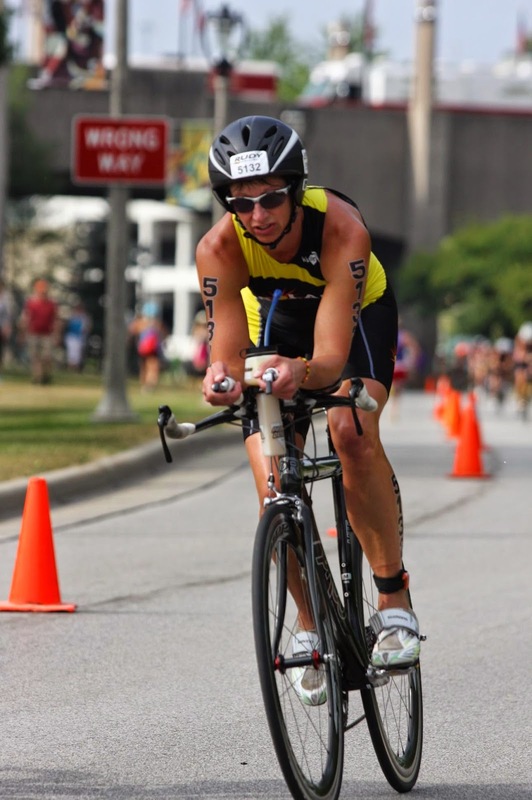 My teaching mentor/colleague/friend Barbara Bekken used to quote, "Writing is nature’s way of showing you how sloppy your thinking is.” Blogging has helped me to make meaning out of the messy jumble of physical, mental, and emotional tangles that triathlon can bring out of you. I am a different person after writing 864 blog posts, and after spending countless hours digging and reflecting to find out what lies beneath. My readers see the cleaned up, dots-connected version, but it's a process to get there. And by writing, it more clearly defines the athlete, the person, the friend, the mom I want to be. Having time-outs. As bizarre as it sounds, the injury time-outs have always left me more grateful and more "hungry" for the sport. I've had at least four significant injuries that had me out for 6-8 weeks. The lesson there is I DO need the downtime, but moving forward I'm going to try to achieve that without the injury. Appreciating what the body can do (and not what it looks like). Feeling fit takes the focus off...I don't know what to call it, "standards of beauty?" I don't feel any pressure to look a certain way and I don't fret about aging when I know I can out-swim/bike/run most people half my age. Makeup, manicures, blah blah blah...not for me. I can shower, get dressed, and be out the door in under ten minutes! How's that for a transition time?! Having goals. I enjoy working toward things, and with three sports there is no shortage of potential goals, and no shortage of data, numbers, graphs, and histograms! I enjoy being the fitness experiment "sample size of one" since we are all unique! 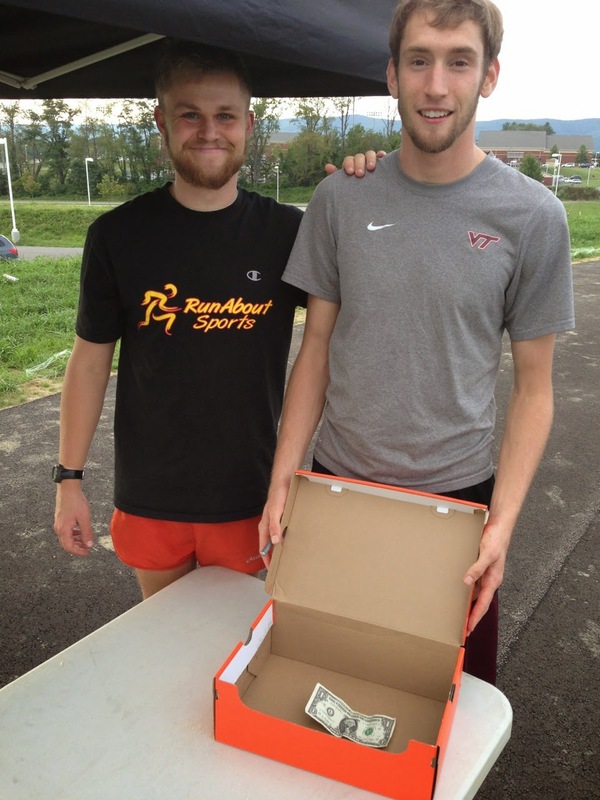 Triathlon brings surprises. Herding cows from the bike, getting lost on trail runs, running in new cities, being in a cycling video, making Team USA 4x, running the Boston Marathon, traveling to London and New Zealand, being selected for a racing team, and starting a new wonderful career in sports marketing and triathlon...who knew?! When I think about all the gifts of triathlon, I can't imagine giving it up, I can't imagine the hole that would be left behind. I think this is what is meant about adopting a "fitness lifestyle" and it just becomes a part of who you are and the rhythm of your life. When others share with me that they want to get in shape, I encourage them to think about what might inspire them, what excites them. I guarantee it's not the exercise bike in the basement. That bike might be useful as a supplement, but it won't be a source of motivation. Motivation might come from climbing, running, lifting, tennis, ultimate, CrossFit, pickup basketball, spin class, cycling, martial arts, yoga, hiking, or squash. Find that "thing" that ignites you and the rest will follow! Then fitness ceases to be exercise and soon becomes life! Have a great weekend, spend some time with your passion!